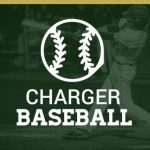 Timon Harris will sign with Concord University for Baseball on Wednesday April 25th at 1 pm in the Ayden-Grifton Media Center. Please help us congratulate Timon and his family on this great accomplishment! Go Chargers! 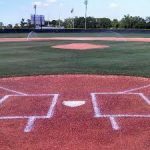 Boys Junior Varsity Baseball, Boys Varsity Baseball · May 15 Baseball advances to 3rd Rd! The Ayden-Grifton Varsity Baseball team defeated North Brunswick on Friday night 7-0 behind a 3 hit shut out pitched by Austin Jones. They will now travel to South Granville who is the #1 seed in the NCHSAA playoffs for a 3rd round match up on Tuesday night at 7 pm. Go Chargers! The Ayden-Grifton Varsity Baseball team defeated Reidsville on Wednesday night and will now travel to North Brunswick to play the Scorpions in the 2nd round the NCHSAA playoffs. First pitch is scheduled for 6 pm on Friday night. Good Luck to Coach Corey Skinner and the Varsity Baseball team. Go Chargers! 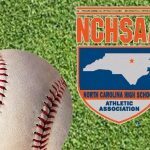 Today’s Baseball game with Kinston has been changed to 6 pm. Will be honoring our Seniors before the tonight’s game so get here early! The Monday schedule for the Ray Avery Tournament has been altered do to potential weather issues. All games will be moved up 1 hour so they will be played at 1, 3:30 and 6:00 pm. If games are cancelled the make up day will be Wednesday.